What's up with those glasses? Something tells me he didn't get paid enough for this. They must be running low on ideas on how they could possibly milk this any farther. Just holding out till that cartoon I suppose. Also shouldn't the helmet have the glasses built in? 70 dollars of horrible mess. Really, I've decided that I'm not buying a single piece of new Mega Man merch until they make a new game. Capcom's "measuring interest via merchandise sales" argument is just not credible anymore. They don't fit. It's a tiny indent up there for your head to kinda sit in. 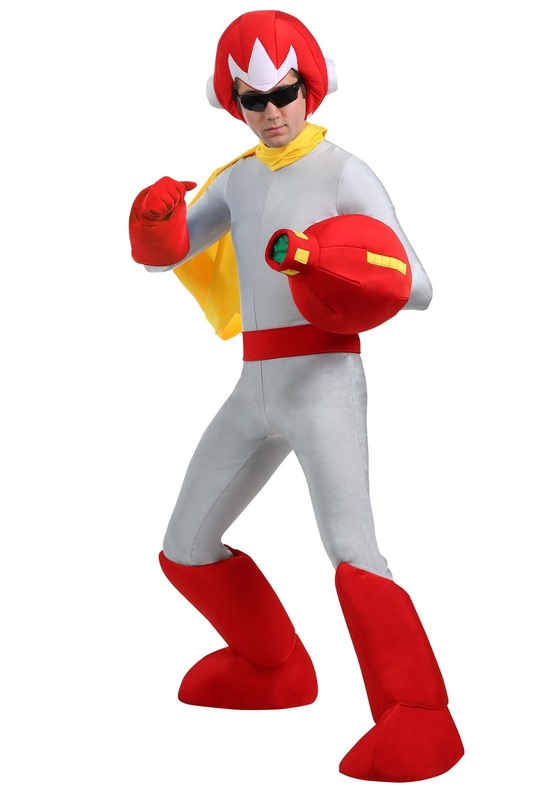 I got the megaman of each when it we think half off for use in a cosplay. The blaster is crap too. If anyone still believes the "measuring interest via merchandise sales" garbage after about 5 years of continuously pumping it out (obviously because it sells ) they are simply on the Capcom kool-aid. 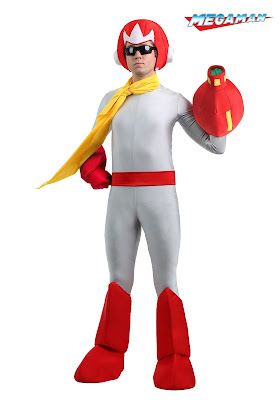 in his mind, "KILL ME..please.."
Anybody who claimed to be a real Mega Man fan should wear this on public annually, December 17.
doesn't look too bad. I mean, just replace the buster with thinkgeek's version and the official wearable light up helmet, and you got yourself a good cosplay?